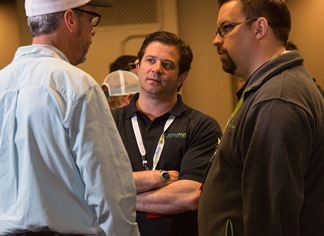 While successful networking isn’t an exact science, following these tips can go a long way towards making the right connections at any business conference. It may sound like a no-brainer, but it cannot be stressed enough. No one has the mental capacity to remember everyone they’ve met at a conference. Your business card is an important point of reference. Pro tip: Make notes about where you met that person and what you discussed directly on the business card to help you remember later — like when you request to connect on LinkedIn. Focus on establishing a few high-potential relationships rather than meeting as many people as possible. One solid prospect is better for your future than ten brief introductions. The people on stage are there for a reason: their deep expertise. And while some of the presentations might not be laser-focused on your unique needs, you can still talk with presenters and panelists afterwards to get the answers and information you’re looking for. Connecting with them now may lead somewhere valuable later. This step is probably the most important one on this list. You can’t just hand over your business card and expect a call (did that ever work in the bar back at school?). The follow-up is essential. You know who you want to do business with. Continuing the conversation after the show helps make that a certainty.